Could the flipback revolutionize publishing? Definitely. Here’s why, starting with a definition of this innovative book format for those of you who missed Patrick Kingsley’s column in the Guardian. Here's a comparison photo of a flipback next to a normal-sized book, courtesy of Jen Ryan of The Lady Loves Books. While flipbacks certainly play into the smaller-is-better trend in entertainment, unlike e-readers, no batteries are required! 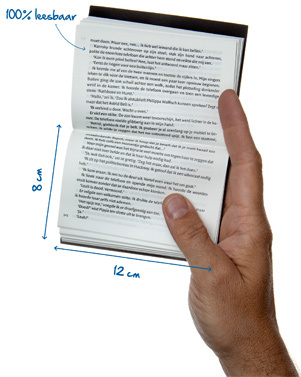 A flipback is a real hardcover book, but it’s six times smaller than average and compact enough to tuck in your pocket. Due to its flexible spine, a flipback can be read one-handed, which is great for all of us multi-taskers. Public transportation riders won’t elbow their neighbors when turning pages—besides the size, flipbacks are read from top to bottom. There has been rampant speculation on many blogs about the flipback (and its potential to change the publishing industry) since Kingsley’s column came out in March. In pursuit of more comprehensive information about this phenomenon, I contacted Arthur van Keulen, the international marketing manager of Jongbloed BV, the Netherlands-based publishing company that created the dwarsligger—known as the flipback in England, librinos in Spain and point2 in France. He graciously agreed to an interview for my Seven Questions series, which I’ll post on Monday. In the meantime, I’m thrilled to share some information about this incredible product, much of it from publicity material Arthur was kind enough to email me. So enjoy the information and stay tuned for more! On average, a dwarsligger weighs 5.11 ounces. The dimensions are 4.7 x 3.1 inches. Bookstores can display a lot of merchandise in a small amount of floorspace–a win-win situation for businesses and the book-buying public. Dwarsliggers feature thin, strong, bright pages and special spines that allow them to stay open without a struggle. (I’m already daydreaming about reading and knitting at the same time.) And flipbacks are being touted as more environmentally friendly than traditional books–due to their petiteness and being printed on paper that is Forest Stewardship Council certified. Jongbloed BV launched the dwarsligger to great acclaim in September 2009 in the Netherlands. Jongbloed, a well-respected Bible publishing company (think really thin but readable pages, and squeezing lots of content into one volume), teamed with the Ambo Anthos branch of the NDC/VBK publishing group, the leaders in the Dutch consumer book market, to produce the dwarsligger, which has been patented worldwide. Since its debut, demand for the handy pocket-sized books has skyrocketed. As of mid-April, Arthur said, more than 1.5 million dwarsliggers, featuring 130 fiction and nonfiction titles, have been printed. * The company website explains that “dwarsligger,” a noun, means this: “A person unwilling to cooperate, who is stubbornly resistant to everything; obstructionist; troublemaker.” The term derives from the Dutch word dwars, meaning crossways, transverse; intractable, contrary, plus the verb liggen, to lie. 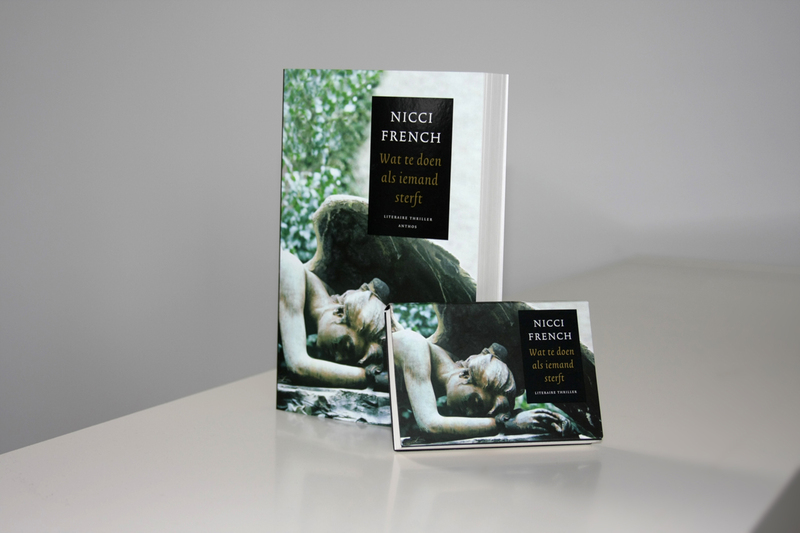 Here's a comparison of Nicci French's book in a traditional format and the compact dwarsligger size. Image courtesy of Jongbloed BV. * Since launching in the Netherlands, in September 2009, with 10 mainstream titles and seven Christian titles, dwarsliggers have grown in popularity and marketshare in their home country. There have been 93 titles published there as of late March 2011. Nicole Krauss’ “The History of Love,” “Everything Is Illuminated” by Jonathan Safran Foer and Arthur Golden’s “Memoirs of a Geisha” were among the initial fiction titles. The post-launch releases include books by Dan Brown, Deepak Chopra, Bret Easton Ellis, Agatha Christie, Sophie Kinsella, Tolstoy, Ian McEwan, Malcom Gladwell, C.S. Lewis, Danielle Steele and Markus Zusak. Books by Dutch authors feature heavily on the launch list and among the post-launch releases. * Spain was the next country to welcome dwarsliggers, under the name librinos, in November 2010. Retail price on most titles is €10, which is about $14.66. Six mainstream titles and four Christian titles made up the launch list and seven more have been added, most of them selling for €10. Jongbloed BV partnered with Ediciones B, part of Grupo Zeta, to produce librinos. * Point2, the French version of flipbacks, debuted on April 14, 2011, with nine titles, ranging in prcie from €9,90 to €13. Jonathan Safran Foer made the list with his “Extremely Loud and Incredibly Close,” as did Jeff Lindsay, Pierre Deproges, Hugh Laurie, Cormac McCarthy, Henning Mankell, Krishnamurti, Olivier Adam and Michael Connelly. There are eight additional titles planned for release in May and June. A Million Little Pieces” by James Frey. Retail price is expected to be £9.99. The publishing house’s press release promises targeted releases for holidays and to release some backlist titles in the compact format. It seems there’s a Twitter feed promoting the flipback’s British release, so keep tabs on that if you’re looking for more information. It’ll be fascinating to watch the British launch—and to see whether I can get my hands on one. If that happens, I promise a full review of the reading experience. In the meantime, pop over to Jen Ryan’s site, The Lady Loves Books, for her take on reading Chris Cleave’s “The Other Hand” as a flipback. (Thanks, Jen, for loaning me your comparison photo!) And remember to check back here Monday for the Seven Questions interview with Arthur van Keulen of Jongbloed BV. So, now that I’ve recited all the facts and statistics that I’ve been able to dig up, what do you think? Is the dwarsligger the future of publishing? Would you buy one? This entry was posted in Books, Flipback, Technology, Writing and tagged dwarsligger, flipback books, Hodder & Stoughton, librinos, publishing. Bookmark the permalink. Cambridge University Press published the first English-language Bible in the flipback format last month. Would you like to see a copy? I would love to see one! Arthur, my source at Jongbloed, mentioned the Cambridge publication in response to one of the questions I asked him–and that interview will be posted on Monday. I think prefer my e-reader to this or the standard paperback. Interesting, and thanks for commenting, Barbara! What do you like most about your e-reader and what kind do you have? I’ve never played around with one. I have a Kindle. I guess I like it because it’s light, but it’s also easy to hold. I really want to say, “Wow! That sounds like a fascinating new format for book publishing!” But really, all I’m thinking is, “That sounds… weird.” I guess I’ll have to wait until I can touch and feel one before I’ll know what I really think about it. How does the price compare to a standard hardback or paperback? Ooo I would buy one! It would fit in my bag and I could take it everywhere with me. I can’t tell you how many times I’ve been waiting somewhere and wished I had a book with me. Thanks for commenting, Caron! I often have my knitting with me, for those in-between times, but I’d be thrilled to have a small book in my purse instead. I have read about these before. I want to know if they will stay open in a book stand (on a treadmill). These books are fantastic.We live in Holland and they have been here for quite awhile but are getting much more publicity since they are coming out in different languages. Really looking forward to the English versions to hit the stores. Thanks for commenting, Alexandra! I’m excited about the English versions, too. Have you seen a lot of people reading dwarsliggers around town? I’d expect they might be hard to spot because they’re so small, but I’d be curious about your impressions of how many people are out and about with pocket-sized books. Wow, I had no idea about this new print format. Thank you for educating me! I followed the link back from your Sock Summit post because I didn’t know what a flipback was. This is amazing! I’ve never heard of these, but what a great alternative to an e-reader, which I often use just because of the one-handed feature. Plus, I love Jane Austen, so it’s good to know that reading her novels just got even easier. Thanks for the post. Flipbacks are so fascinating, Sarah! I’ve done a number of posts on them, including interviewing someone from Jongbloed, the Dutch company that created the format. You can find the other articles if you click on “flipback” in the sidebar of my blog. I’ll run another flipback giveaway on my blog sometime soon, so stay tuned! I heard about the protection by copyright of the “Flipback” design. It is simply scandalous: this print format, derived from traditional manuscript form, is used in India since the 19th century and is still used there for popular printing of devotional books. It is called ‘pothi’ form. Flipback is only the western version of an old Indian standard. That’s interesting, Christophe. It has been a while since I reported on the flipback, but from what I understand, Jongbloed created the technology to print these pocket-sized in the modern era. I don’t think they’ve claimed that they’re the only ones ever to print a book in this format, but they are the first to apply technology to print these books in a mass-market way. I don’t think the Dutch printers »created the techology in modern times«… they specialized in printing Bibles, which even earlier were often printed on »cigarette paper«, and in shirt-pocket sizes, to ease their smuggling into unfriendly territories. Starting in the 50s the same minimal volume palm-size method (though not flipped column direction) was used by émigré presses in the West to alleviate spreading the words illegally into their mother EE countries (earlier still, Vladimir I. Lenin’s many idiot pamphlets were smuggled into Imperial Russia printed w/ minuscule fonts on such palm-sized “bibula”, or tissue-papers). What’s new with the dwarsligger/ flipback format is the production-line integration of printed stock with the multiple-foldover cover (the latter of which as I understand allows also for textile fabric) – and for that the Dutch inventors rightly deserve whatever design protection they can muster. Don’t despair, Christophe. I haven’t read whatever patent or other “rights” for the Flipback design, but am sure it applies solely to the very production process of the Dutch printers, and geographically-limited copyright of the word “Flipback” labeling books. I’ve seen a couple other paperbacks like that that were not flipbacks, merely novelty format issues, so there’s more prior art to the design than the old Indian one. I am absolutely hooked on flipbacks (librinos here in Spain) . Unfortunately few titles available as yet. Hopefully they’ll release more soon, Maria! I have loved reading the few flipbacks I have, and it would be exciting if they released some titles here in America. I’ve made an attempt to tally up the volume of Flipback titles in all the countries/ native-tongue regions where I could find a trace of them. It’s not a pretty sight. Simply put, outside of The Netherlands, where it has made a small dent in the market, the format isn’t thriving anywhere else. In the UK/ English-language domain, it appears downright dormant; looks like existing Flipback stocks are sold for as long as they last—so get a copy of one while you can—but new, preannounced titles fail to be released. 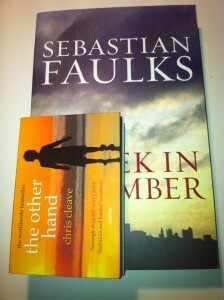 The Dutch @dwarsliggerboek community on Twitter is pretty active, while the English-language @fipbackbooks stays silent. Here are my FAIRLY IMPRECISE totals/ language… if anyone knows better, please comment. Any insider knowledge of when more titles will be released here in UK? Haven’t seen anything on their website, twitter feed etc.